This post may contain affiliate links, which means if you purchase something within this post, I may receive a small commission, at no additional cost to you. 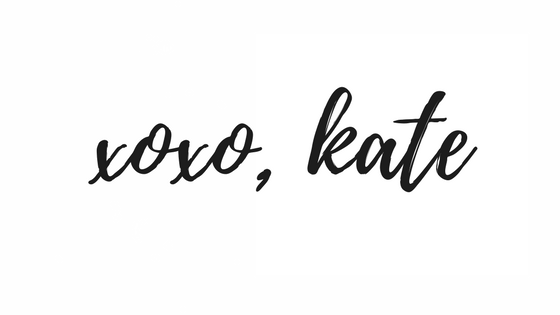 I will only ever link to products I believe fit the purpose and mission of Everyday Kate. Thanks for supporting Everyday Kate! Read the full disclosure policy here. As spring creeps around the corner for most of us in the U.S., I am immediately inspired to bring fresh, spring florals and colors into my wardrobe AND into my home. The temps have dipped back down into the 30s this week in Pittsburgh, but they sure aren't stopping me from entertaining daydreams of breezy, sunny days on the patio, and the scent of fresh blooms emerging after a long winter's nap. 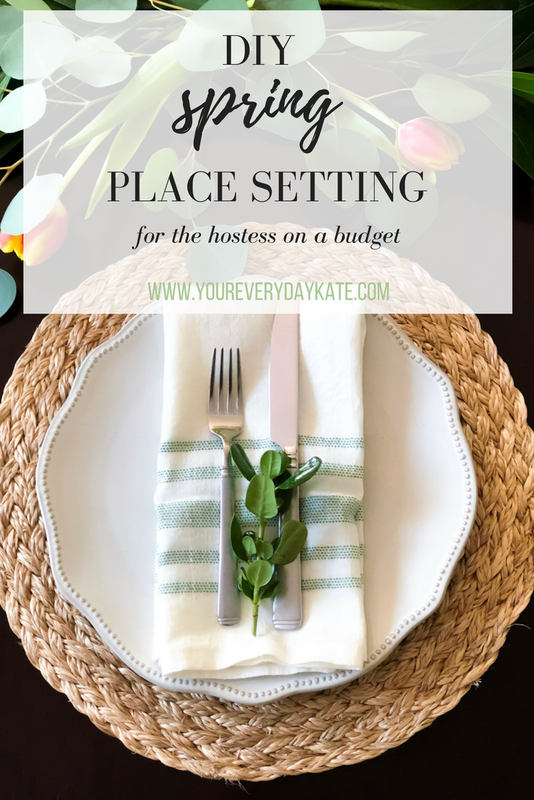 I wanted to create a simple, beautiful and easy DIY place setting idea that is the perfect addition to any spring dinner party, family meal, Easter Sunday or girls brunch. 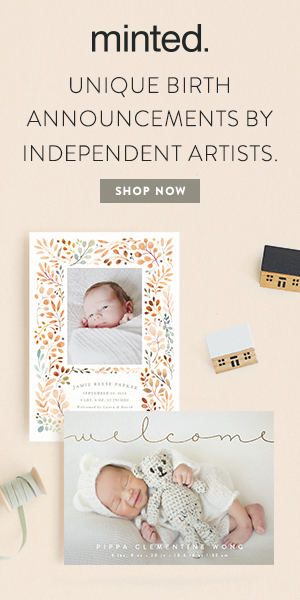 Now that I'm a mom, I don't have TONS of time or opportunities to host elaborate parties or pay for expensive florals or dinnerware. 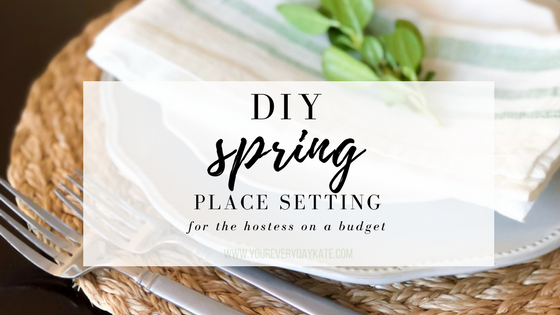 But I wanted to find a simple way that I could bring some spring beauty to my home without breaking the bank, or requiring hours of prep time. Some of the elements were things I already had, but I did purchase a few things to complete this picture-perfect place setting, all while spending around $10 per plate. Something that may be a little-known fact about me, is that I've always had a love for curating dining elements and centerpieces. The first big project I took on was styling and creating my own wedding centerpieces and bouquets! That is DEFINITELY another post for another day (so many details) but it was the biggest and most fun adventure for me, and as a result, my wedding florals turned out EXACTLY how I had invisioned. Isn't there an old saying that goes, if you want something done right, do it yourself? I have to admit I adopt that motto in more than one area of life, haha! Although the dishes and place settings themselves were created and provided by the venue, much of my planning process for our wedding involved hours browsing Pinterest and oogling over all of the perfectly and professionally styled tablescapes. I just think there is SO much that can be done with a simple table - modern design has shifted so much from simply "formal" and "informal", and whether you're following traditional dining etiquette or not, there is a huge margin for creativity - and the possibilities truly are limitless. 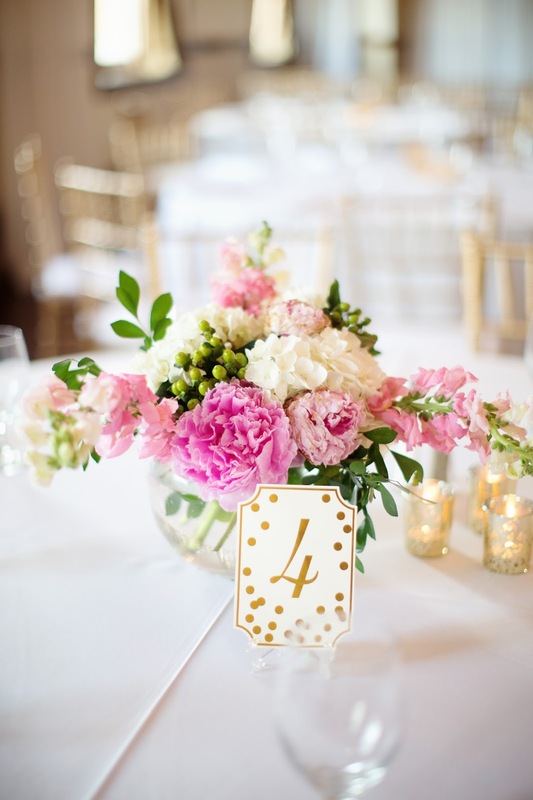 For this particular place setting, I wanted to keep the elements extremely simple, but give off an airy, spring vibe. One of the best things about designing place settings and other table elements is that even if you're following a template (like this one!) you don't have to spend a fortune to make your own table look similar, or even identical. I've included links below to everything included in this set, but I especially encourage you to take a look at what you already have at home - flatware, placemats or table cloth - and see how you can make this design your own. Keep reading to see my ideas and how you can re-create it even on a tight budget! I also purchased some greenery from a local supermarket to use as the table centerpiece and also to add a bit of fresh greens to the place setting itself. This element of the design is pretty much free-range - whatever you have on hand or whatever your local grocer or florist has will be just fine! No need to go out of your way to get something expensive. 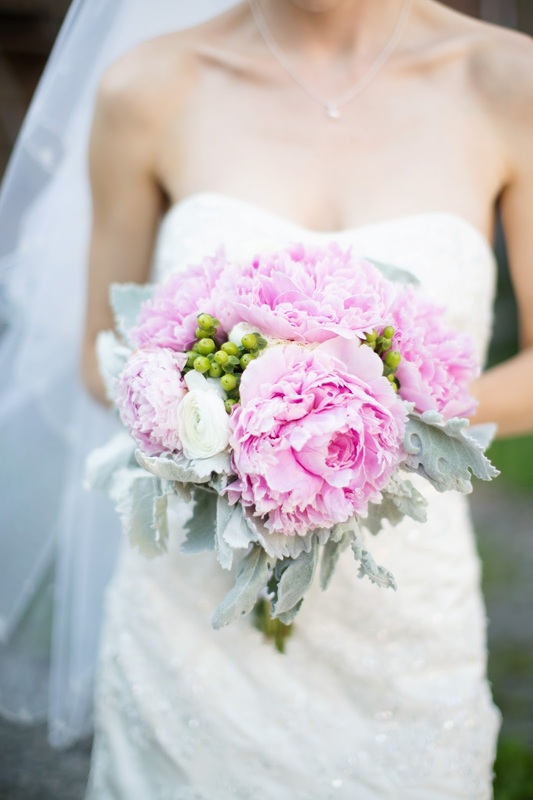 Even fake florals will do here! I love using fresh greens for spring decor, so I definitely felt the need to incorporate some of it in this set. The following are items I already had at home that helped me put together this set. Silverware - We got this as a wedding gift, and I don't remember the brand! I started off styling this place setting in the most simple way I knew how: I folded the napkin in the center and layered one fork and knife on the top of the large dinner plate, with a touch of greenery. If you wanted to re-create this look to a T, this would be your most cost-friendly option, but still perfect for any dinner party. For this look, I stacked the white scalloped plate on top of the cream plate, and placed the napkin on top, followed by the greens. I added an additional dinner fork, as well as a spoon, and placed the silverware on either side of the plate. If you're looking for an option that's more formal, this might be a good one for you to re-create! I got a little resourceful with this option - this simple black ribbon was part of the "packaging" of the Hearth & Hand napkins! I thought it added a pretty, modern element to this style. You can use any type of ribbon or twine to tie up the rolled napkin and rest it in the center or corner of the plate. I used stacked plates in this look, but if you only have the dinner plate, that's fine too! The black ribbon really had me excited haha, so I decided to create one more look with it. For this setting, I simply tied the fork, spoon, knife and greens all together in a pretty black bow. Again, I have the stacked plates here, but this would be pretty with or without the salad plate. If you re-create this pretty spring place setting, be sure to post it on social media and tag me so I can see what you've created! This is such a beautiful way to add a little character to your table, and I love that the simplicity of it makes it easy for ANYONE to replicate! Which of the styles above is your favorite? Sound off in the comments, I'd love to hear your thoughts! I have been wanting to accessorize my table more recently and I love this design. I am all about neutrals and in my book green counts! I will totally be looking into this and adding it to my table soon! So glad you enjoyed the post, Courtney! I totally agree about green being a neutral - it fits so nicely into so many different color schemes! Oh this is beautiful! I love the way you shared a couple of different looks. I have the matching table runner from Magnolia, now I need to get the napkins. That is really clever to reuse the ribbon that way! Thank you so much Beth. The matching table runner would add such a pretty finishing touch! Lovely! Like the tied silverware!! Very pretty. I love how simple it is but still beautiful.